There is an old army expression that cautions us to “Hurry up and Wait”, meaning be prepared to leap into action at the drop of a hat, whilst exercising patience just sitting around and waiting for that moment to come. Only to do the same thing all over again as the cycle of waiting, then proceeding very quickly, then waiting some more continues. This expression is very apt for those who want to achieve long-term wealth through real estate or in fact any other asset class. While it is necessary to be pro-active as to the strategy you take onto the bricks and mortar battleground, there are many times when the best thing to do is nothing at all and simply wait for the right time or for the power of leverage and compounding to work its magic. And yes, you guessed it, this too will follow a cycle of intensive moments of action and activity followed by a hibernation period, where you wait for the value of the property you bought to grow in order to fund the next investment. If you’ve been involved in property for a while you’d know the market moves in cycles. After each period of strong property growth, prices stagnate or perhaps drop a little and then flatten out and once again begin to rise. Just another instance of “Hurry up and Wait” isn’t it? 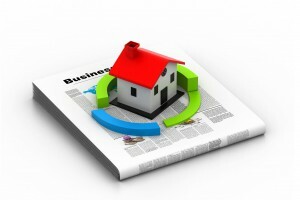 Strategic property investors know how to use this cycle to their advantage. Rather than waiting for the times when all the good news has already happened and is then being reported in the media, they “hurry up” and buy their investments counter-cyclically at the bottom of the cycle taking advantage of the times when everyone else is waiting. They then recognise the right thing to do is wait until they have built up enough capital to refinance and use the equity in their investment to make the next purchase…and so on. The power of this is that if you buy the right type of property, one that will be in continuous strong demand by a wide range of owner occupiers, regardless of the housing cycle’s ups and downs the value of your property is likely to double every eight to ten years. Of course, you can speed this up by buying well, purchasing a property in an area that outperforms the averages, by choosing a special property with unique features that will give it a scarcity factor and by “manufacturing” capital growth through renovations or redevelopment. This minimises your risks and maximises your upside. Each strand represents a way of making money from property and combining all four is a powerful way of putting the odds in your favour. The trick to getting the cycle working to your advantage as you build a long term, wealth generating residential property portfolio, is to be patient. “Wealth is the transfer of money from the impatient to the patient,” and this is very true in property. I’ve seen so many investors so keen to do something, in fact so keen to do anything, that they make mistakes that they then regret for years. Some buy cheap properties because they can’t afford to buy good properties. They buy in secondary locations or in new estates where capital growth languishes or in small regional towns and then find they’ve bought a lemon. Others don’t wait to save enough of a deposit so they speculate and buy off the plan lured by the developer’s flashy promise of profits before they settle their purchase. Unfortunately many find that on completion the value of their property falls short of their contract price and rather than making a profit they’ve lost out. Then there are the inexperienced investors who attend a seminar and walk away with unrealistic dreams of putting down a dollar (or less) and getting their foot in the property door and walking away rich in just a few years. Yet others look for excitement in their property ventures and get involved in speculative endeavours or property development before they’ve cut their teeth on traditional investments. Instead, I suggest they should look for their excitement elsewhere…. Go bungy jumping! Go trail bike riding! Your property investments should be boring so the rest of your life can be exciting. Sometimes, as boring as it might seem, the best thing you can do is to wait and do nothing! In fact, over the years I’ve made more money by saying “no” to deals than “yes” to so-called opportunities. Wait until you have enough deposit or sufficient serviceability for a loan to buy the right property in the right location. Or wait until that right property comes along and then wait out the negotiation process to get the best possible deal. The take home lesson is that just like being in the military, investing in property is not a fast paced world of non-stop, go-go-go action. In order to prosper in property, you must be content to sit and do nothing for long periods of time, often years, while you allow the market to do the work for you. It might not be exciting in the beginning, but when you see the fruits of your initial labours and the periods of hibernation starting to build, you’ll think patience is indeed a very valuable virtue!